Isla Saona is a 42 square kilometer Caribbean oasis off the southern coast of the Dominican Republic. 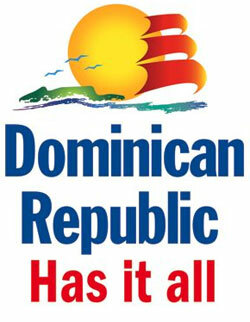 The Dominican Republic's indigenous Taino people occupied the island in pre-Columbian times. Originally named "Adamanay" in the Arawak Taíno language, the island was renamed by Christopher Columbus, during his second voyage to the Americas in 1494. The name, "Saona", commemorated his friend Michele da Cuneo, from Savona, Italy. Although there is a popular push to return to Saon's original name of Adamanay, for now, Saona remains the name known to the world. Today, Isla Saona is the most popular excursion offered in the Dominican Republic. The island is the quintessential tropical beach with swaying palm trees, bone white sand and lapping turquoise waters. Although you may not know it by visiting Isla Saona, the island is actually inhabited once again. With the Taíno indian presence long gone, the very small community named Mano Juan is located on the southern part of the island. The community totals about 400 residents that are known to be incredibly friendly and welcoming. These islanders live mainly from farming and, most importantly, fishing. Mano Juan is not connected to the Dominican Republic's electricity grid but the locals use solar panels to provide a very limited but sufficient amount of electricity for daily use. Mano Juan, although small, offers great photo opportunities because of the communities brightly colored homes that represent a care-free way of Caribbean living. Saona Island is also a nature reserve protected by the Dominican government. It is part of the National Park of the East, a nearly 800 square kilometer refuge for an abundance of birds, reptiles and marine life. Iguanas, dolphins and sea turles are not uncommon sights. More uncommon sights are humpback whales and manatees who have been known to swim through the parks pristine aquamarine waters. Overall, Isla Saona is really a sight to see and is enjoyed by thousands of visitors to the Dominican Republic each year. It's appreciation is world wide, just ask Bounty Chocolate. The chocolate bar, owned by Mars, has used Saona Island over the years for its television adverts to promote the quintessential Caribbean beach of swaying palm trees to market their coconut filled chocolate treat. There's a reason why Saona is the most popular excursion for tourists visiting the Dominican Republic, mainly those staying in Punta Cana hotels. You just need to see it for yourself.